ItemD-05705 - William J. Duval. ItemD-05664 - Chinese funeral at Ross Bay Cemetery. ItemD-05670 - "The Members of the Parliamentary Press Gallery at Ottawa." ItemD-05801 - Victoria Rugby Team. ItemD-05805 - Canadian Northern Railway engine no. 1372. ItemD-05812 - Otto Wulius Klotz. ItemD-05814 - "The Hastings Hotel, Burrard Inlet..."
ItemD-05818 - John Squire Shopland and family. ItemD-05819 - Georgia Stone Company's quarry near Nanaimo. Item D-05805 - Canadian Northern Railway engine no. 1372. 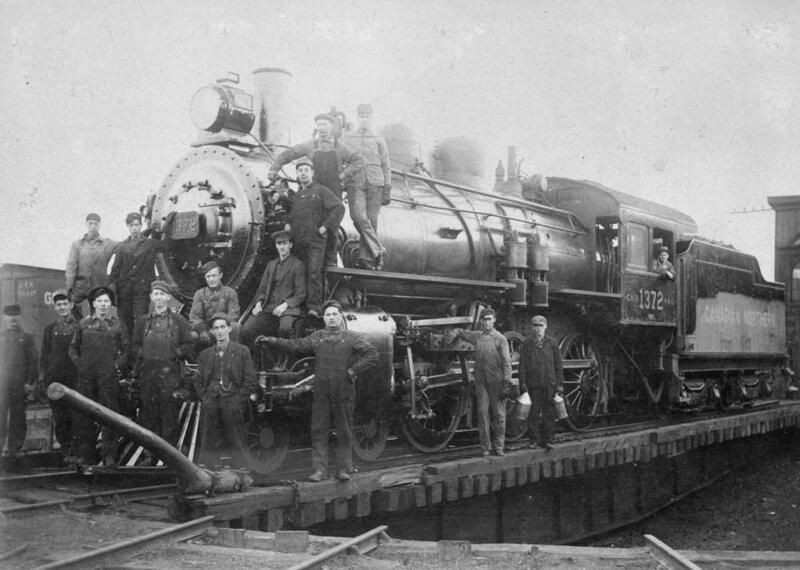 Canadian Northern Railway engine no. 1372.